"Asalam Alakium! Hi Hayah! I read your blog daily and enjoy every bit of fashion advice. I recently started my own Muslim Clothing online shop and wanted to let you as well as every Muslimah on here where to find it and help support me and my friend. It is http://www.hijabistyle.com/. You inspired the name Hayah! Thank you :) Cheers." Just wanted to let you know that you can great hijabs at matalan starting from a mere £3!! I only discovered this the other day when i went to an absolutely massive store, so if you have a really big matalan nearby you will get spoilt for choice! Amazing, loving the blue one on the left. I also love the added touch of the flower on the side. lol i don't know about that ammena! Laayla, I like that one too! Thanks Hayah for the feature! That is so sweet of you :) Thank you sisters for all your support. For you special sisters, I will give you a discount, if you mention Hayah's name when you checkout. You're welcome! That is very kind of you, jazaki allah khair. Oh, Hayah! You should visit Indonesia -the largest moslem country in the world. 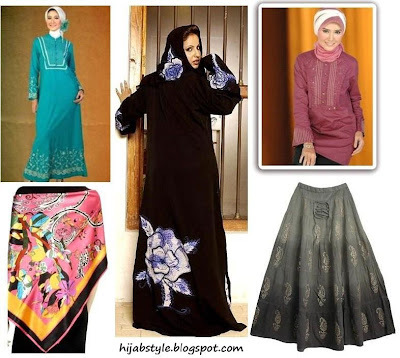 I spotted many beautiful and stylish women wearing hijab in jakarta, & also many designers design islamic clothing. Anon, aww mashallah, I'm so glad you love hijab! Keep strong! Wow, her site is great! salaam alykum! im sorry but i clicked on the link you provided for your new store, and it isnt working for me :o( i dont know what to do...please help!